Join us as we celebrate breast cancer awareness month on Thursday, October 13th at Village Courtyard downtown with the 2nd Annual VIPink from 5:30pm to 8:30pm! This unique, complimentary event is sure to please everyone who attends! Guests will enjoy pink cocktails, hors d’oeuvres and auction, featuring some fantastic items donated by our generous community merchants, as well as distinctive artwork from some of our amazing local artists. Please note that you must be 21 or older to attend. 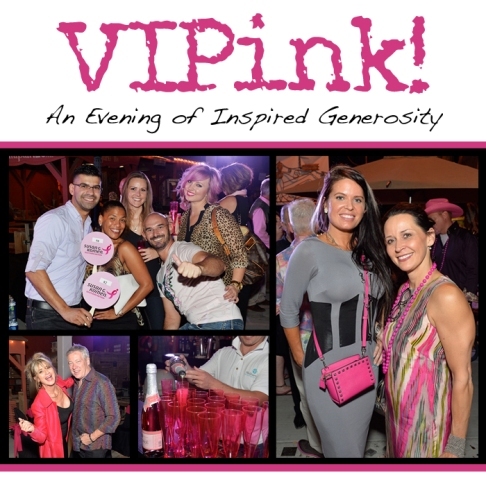 Click here to view photos from our 2015 VIPink event!